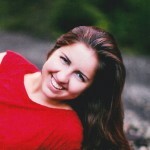 May 21, 2013, Pittsburgh, PA – Peters Township Senior Lindsay Spinabelli has been selected as a winner of this year's Edgar Snyder & Associates "Words to be Heard" Scholarship Contest. Her winning entry included two PSAs discouraging peers from texting and driving. Spinabelli says both PSAs share the same message: "Distracted driving affects not only the texting offender, but also other passengers, drivers, as well as family and friends." The Edgar Snyder & Associates "Words to be Heard" Scholarship Contest challenges students across Western PA to create programs discouraging their peers from underage drinking, drunk driving, or texting while driving. Students had the option of submitting entries in the form of videos, PowerPoint presentations, websites, essays, or the creative format of their choice. Attorney Edgar Snyder personally presented Spinabelli with the $2,500 scholarship at an awards dinner Monday. Prior to the dinner, Spinabelli and the other scholarship recipients participated in a live Google Plus Hangout with Attorney Snyder to talk about the inspiration behind their projects and future plans for college. As an officer in her school's Students Against Destructive Decisions (SADD) program, Spinabelli used what she learned there to create the PSAs. "Last year SADD had a big mock crash that I was involved with. One of our focuses was drunk driving, but we also decided we should focus on texting and driving. We talked about how every decision you make affects others, not just yourself," said Spinabelli. "That's why my videos focused on the impact to others, not only the person texting." The PSAs can be viewed on YouTube here and here. Spinabelli plans to attend Penn State in the fall to study PR or marketing. Her video teacher, Mrs. Frick, has been a big encouragement along the way, "I have been with [Mrs. Frick] for 3 years—she is awesome. She really pushes me and helps me find scholarship opportunities in public relations. She is the one who taught me everything about making a PSA, and has been coaching me ever since." Six other winners were recognized for their submissions at the dinner ceremony. Katherine Zhou of North Allegheny High School (Allegheny Co.) took home the grand-prize scholarship of $5,000. Two additional scholarships for $2,500 were awarded to Matthew Clark of Pine-Richland High School (Allegheny Co.) and Jesse Vensel of McGuffey High School (Washington Co.). Three $1,000 scholarships went to Alexandria Denne of Gateway Senior High School (Allegheny Co.), Brady Sheehan of Windber Area High School (Somerset Co.), and Michael Trowbridge of Bellefonte Area High School (Centre Co.).